Kamalkant is 22 years of age. From a poor village in Orissa and the only earning member, he came all the way to Bangalore to join work at a factory . 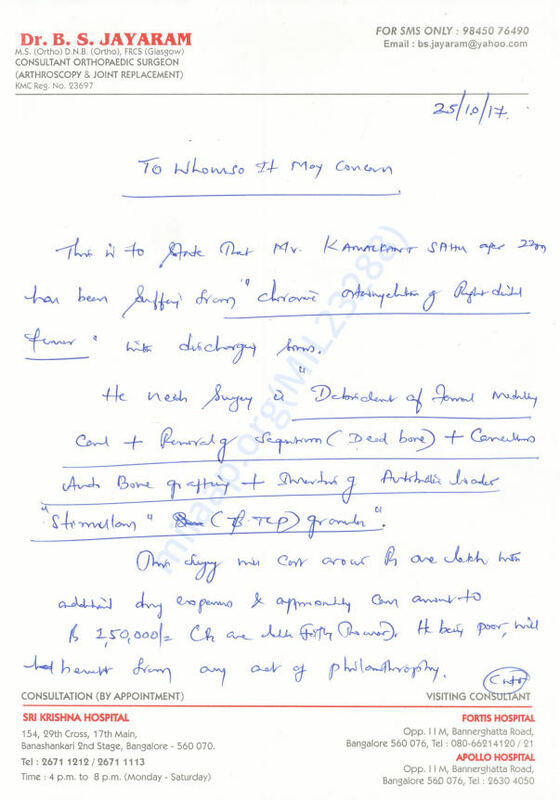 He hoped to become financially independent and contribute to his family. That was unfortunately, not to be. Last year, he sustained a knee fracture injury and was rushed into a surgery. Things however did not improve and a few months later he underwent another procedure in his hometown. He returned to Bangalore hoping to pick up the threads. Excruciating pain , illness, infections followed. 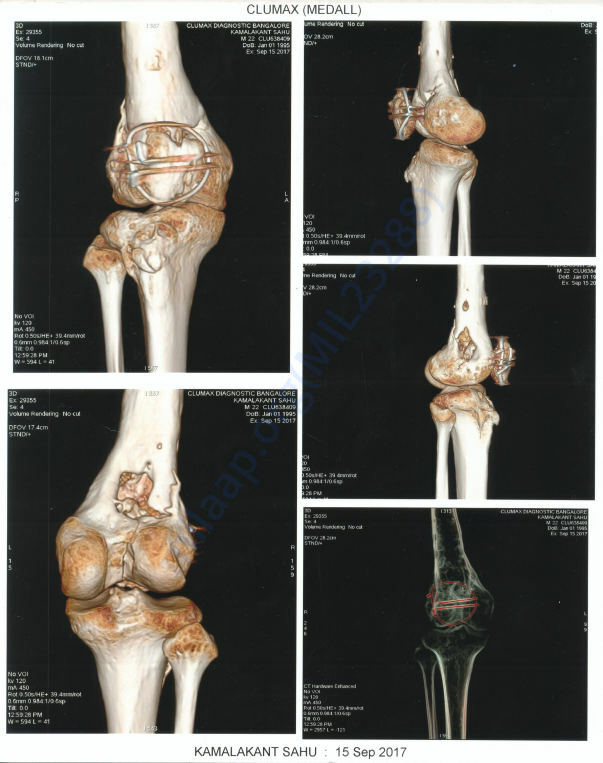 A highly respected and helpful orthopaedic surgeon has evaluated him two weeks ago. 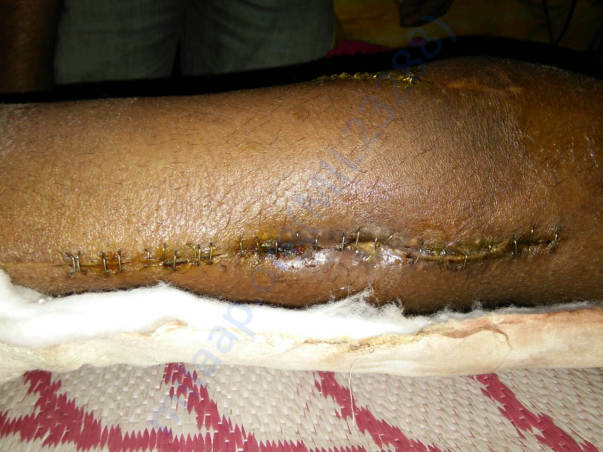 His knee is badly infected and there are high chances of sepsis if he is not operated on soon. In addition, the botched first procedure has left some parts of the bone brittle and it will start disintegrating very soon . Kamalkant's chaces of recovery are good if he can immediately have this three step surgery and take the right antibiotics to fight back the infection. 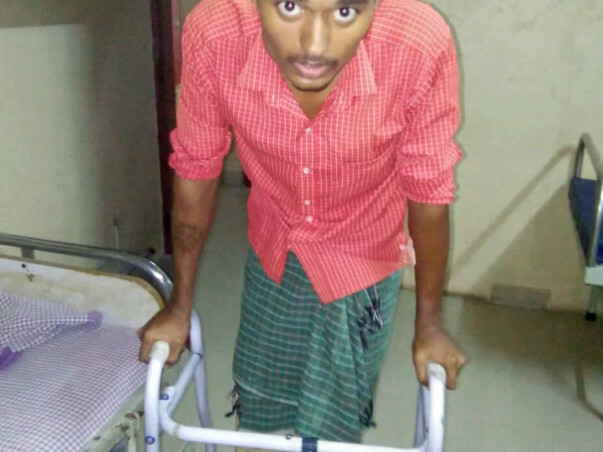 He earns a modest salary and his savings have been depleted already, He needs immediate help to schedule a surgery and start walking normally again. Will you help Kamalkant heal, walk, take on his work and gain back his confidence and dreams?